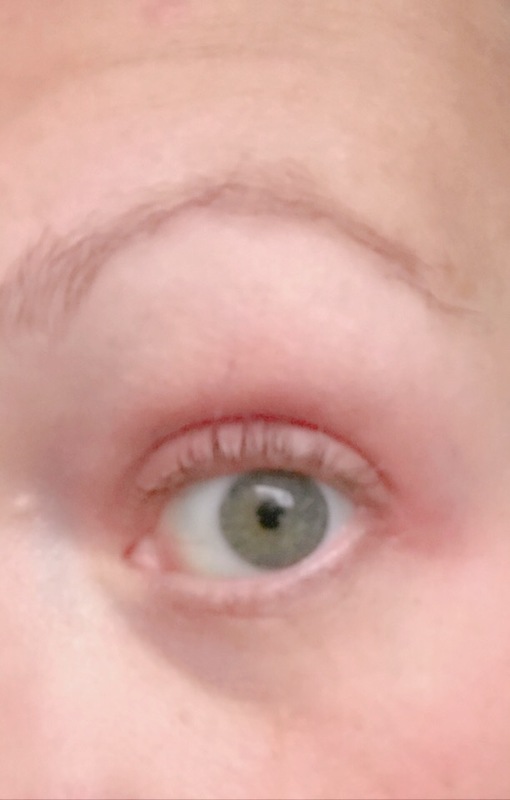 So I bit the bullet and decided to jump on the eyelash perm trend. 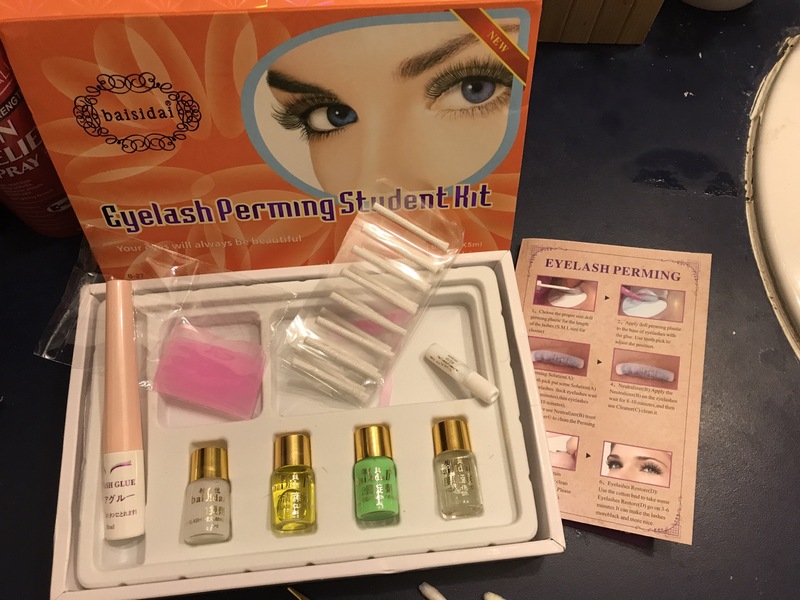 I have given myself a DIY eyelash extensions before, so I figured how hard can a DIY eyelash perm be. I jumped on YouTube and watched about six different videos, before deciding on what kit to buy. Amazon was out of the kit that I was looking for, so I spent a dollar more, and bought it off eBay. It took about a week to receive. It was coming from California, supposedly. But we all know it was originally drop ship from China. Just like the ones on Amazon. So I think a DIY was definitely worth it. I did not screw it up! Sure it took nearly 90 minutes from start to finish, when it should have only taken a hour total, but it was my first time.. and all ‘first times’ are well… not all that great. So this is what the $12.20 kit looked like. You should be able to squeeze six different peems out of this one kit. And since they recommend you don’t do this more then six times per year, it will last an entire year. Sorry for the somewhat blurry photos. 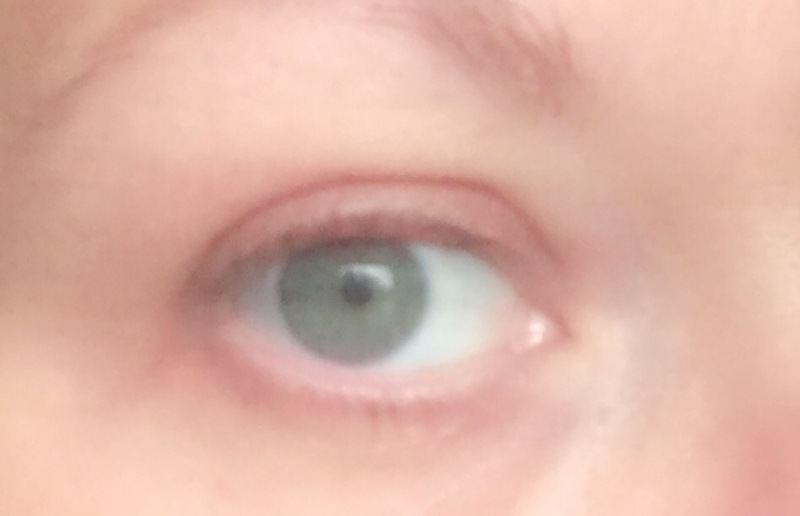 Also, no mascara on, so you can barely see that I have any lashes at all. I decided to do this task at night, in my bathroom, where the lighting is not that great. But still.. barely there lashes are what I have had to work with my entire life. Up close and personal of how thin and straight my natural eyelashes are. Step one was to take a damp cloth to make sure there is no old make-up, oils, etc. on your lashes. I tried using the pink silicone thing, but my lashes simply would not stick to it, regardless of how much glue I used. So I went for the rod, and am so happy I did. Worked like a charm. Sorry I didn’t snap a ictire of the failed attempt with the pink one on. You may use glue, but I didn’t need to use the glue with the sticky rod. The glue doesn’t affect how the perming solution works. Just a heads up on that. So if you need to use the glue, do so. With a clean dry q-tip, you dip it into the perming solution (white vial) and wipe it on all your lashes in an upward motion. Like you are putting mascara on. Making sure to do not get any in your eye, or on tight line. I did with one eye, and it burned. Be generous, as this is the most important step. It is what will curl your eyelash hairs. 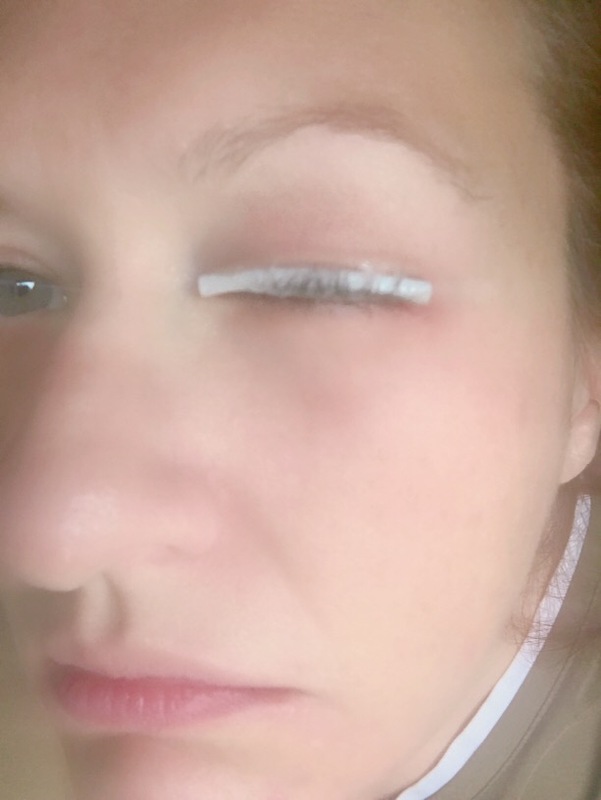 After the 15 minutes are up, you take another q-tip and dip it into the eyelash cleanser (yellow vial) carefully wiping away the perming solution. It only takes a minute. Very easy to do. 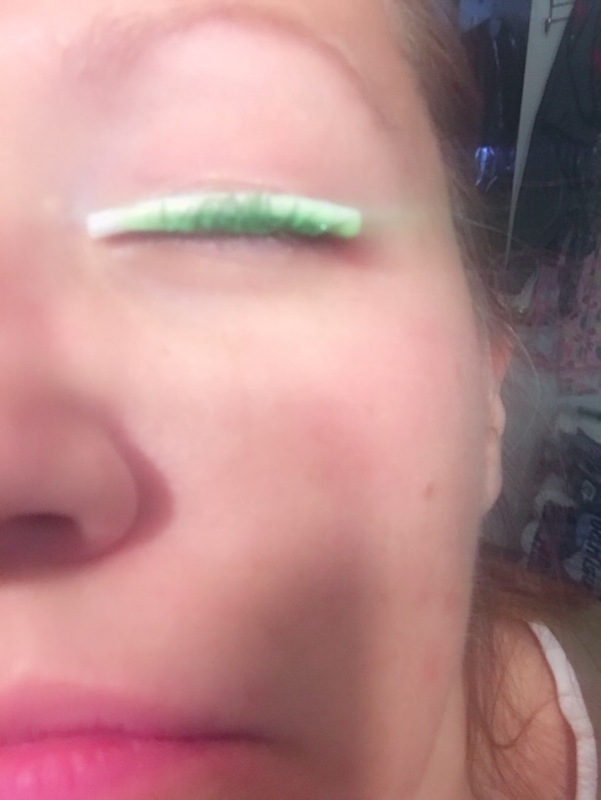 After the perming solution is off, with the rod still on, you take the eyelash neutralizer (green vial) and place that all over your lashes, just like you did with the perming solution. This is a picture of how crazy that looked. But we are almost done! Wait another 10-15 minutes. Again, I waited the full 15 minutes. And lastly, use that (yellow vial) cleanser once more, to remove the green neutralizer from your lashes. Then carefully lift the perm rod away from your eyelid and toss it in the trash. They are not reusable. That is why they give you so many. 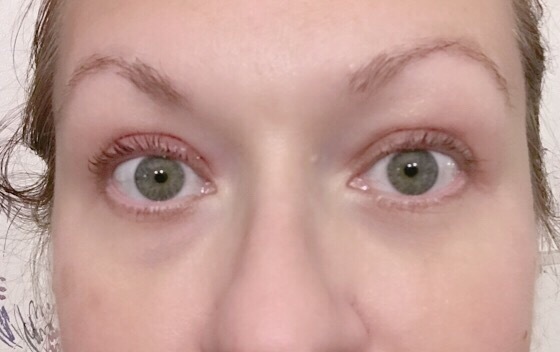 You now have a very natural looking curly eyelash that is ready to be mostiourizd. (Clear vial) I think the clear stuff may be mineral oil. That is what it looks like. 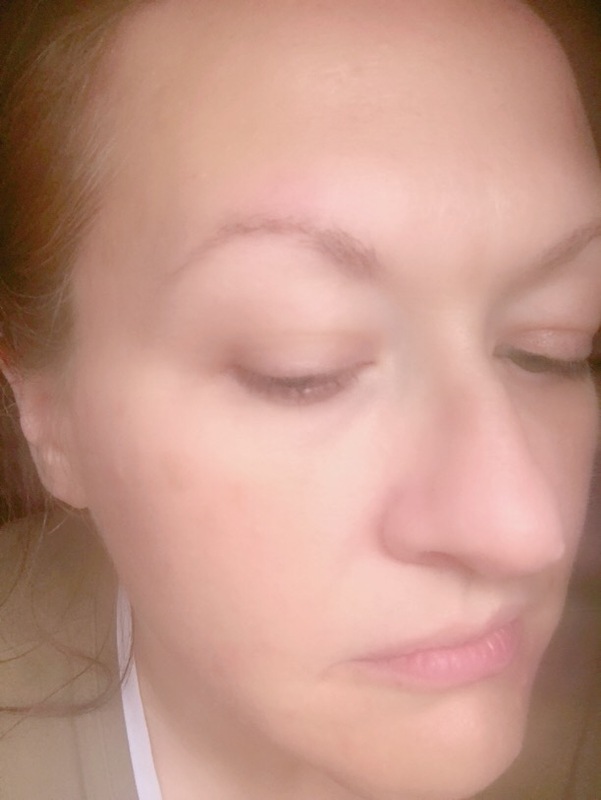 So you dip a clean q-top into the oil and with the perming rod now off your lid, you brush on the oil into your lashes to sooth them. Like a regular hair perm, you can dry them out. So keep them mosturized. I also read that coconut oil or caster oil will also work, if you want something more natural. Take a eyebown/lash comb, and comb through them, making sure none of them are stuck together…. and you are finished. You can’t get them wet for 24 hours, so I would try to skip the eye creams, mascara, etc. if at all possible. Just enjoy the new you. Again, bad lighting, but you get the jist. I am very happy with the results. Your natural lash cycle is around 4-6 weeks. 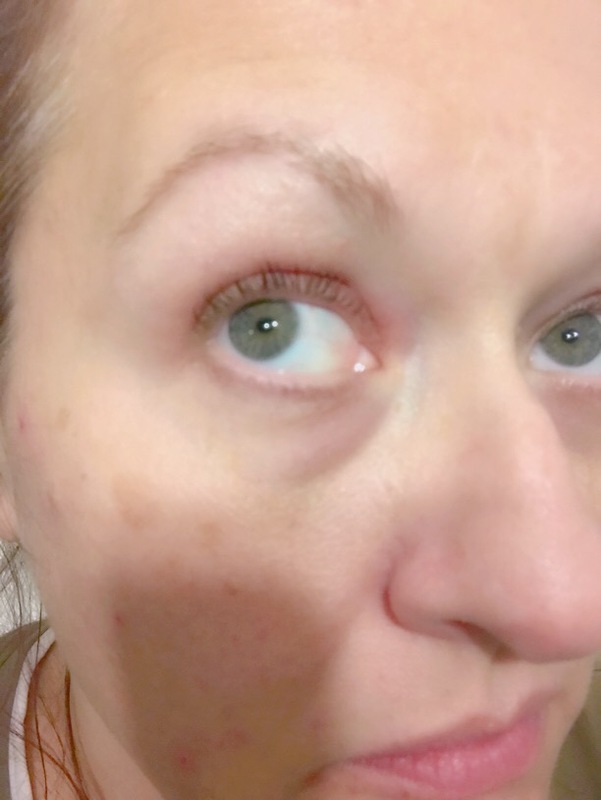 So once you start having new straight lashes growing in, you can determine how often you would like to repeat this process. A couple close-ups. Bye-Bye eyelash crimper..
Now, how about an eyelash dye kit. Ha! Please share how it went. And If you blogged about it, I’d love to check it out. ← What happened to being excited?